In response to a growing international demand for the popular GENOS lathes and vertical machining centres as well as the positive economic development of emerging markets in Asia, Okuma has opened a new plant in Taiwan this August. 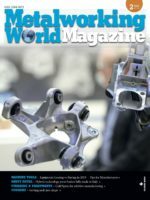 Using the learnings from its successful smart factories Dream Site 1 and Dream Site 2, Okuma has applied the same high level of automation and IIoT-connectivity to this state-of-the-art plant. To achieve a production capacity of 300 units per month, the 14,300 m³ facility utilises Okuma’s smart manufacturing solution Connect Plan to link smart machines, monitor operation and machine progress and to provide accurate work instructions through the IIoT. Real-time data analysis and advanced visualisation of everything from machine utilisation to assembly work serve to maximise productivity and to evolve the production on a daily basis. As an integrated production base, the Japanese Kani plant has been essential to the production of Okuma’s vertical and horizontal machining centres as well as its double-column machines. The ever-increasing need for high-mix, low volume production has led Okuma to add a new smart factory to the Kani base. Like the new factory in Taiwan and Okuma’s Dream Site 2, opened in 2017, K6 will combine Connect Plan, smart machines, robots and flexible manufacturing systems (FMS) to enable untended 24/7 production of machine components. By synchronising the automated parts production with the assembly process, Okuma aims to increase the overall production capacity for its machining centres by 30 per cent. Construction of K6 will commence this August and it is expected to start operation in May 2019. India’s steady economic growth has resulted in an increase in local industry. 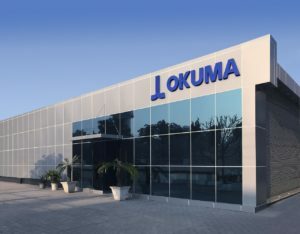 To meet the demands of manufacturers from the automotive, agricultural and construction sectors, Okuma has opened its first India-based sales and technical service base this summer. Like the Okuma Technical Centres (OTC) in Europe, this new facility provides manufacturers with Okuma products as well as faster and more extensive service and after-sales support by means of an enhanced service parts inventory. Visitors to the facility can view Okuma’s latest innovations in the showroom and even perform test-cuts on the machines. They are also able to discuss proposals and manufacturing challenges with the Okuma experts on-site.